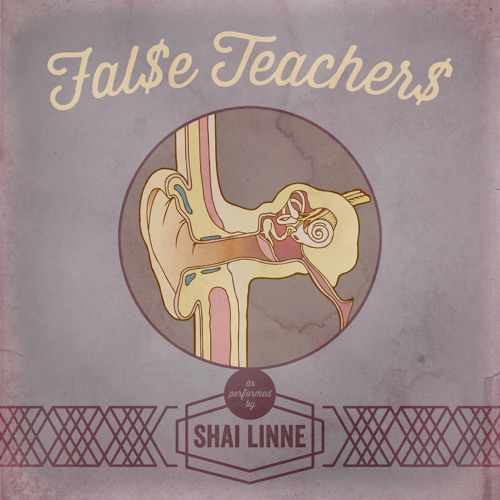 shai linne's song "Fal$e Teacher$" from his newest album, "Lyrical Theology Part 1: Theology". look in a mirror, see him? don't put anyone or anything above you, God puts blessings and lessons all around us. So, rap isn't my preferred music genre, but this is a necessary song to be on the airwaves. “Watch out! Be on your guard against all kinds of greed; life does not consist in an abundance of possessions... This is how it will be with whoever stores up things for themselves but is not rich toward God.” “Do not store up for yourselves treasures on earth, where moths and vermin destroy, and where thieves break in and steal. But store up for yourselves treasures in heaven, where moths and vermin do not destroy, and where thieves do not break in and steal." Vanity x A.Tunez : http://a-tunez.bandcamp.com/track/vanity Exposing the False generation of teachers and entertainment! This song still gets heavy rotation! Love it! yes, speak thee truth!!! so many are deceived. @shawnquilla-carterink-carter: Actually, Peter & Paul didn't just have a "difference in opinion". Peter was WRONG & Paul corrected him. Communicating the messes to the masses. Yeah!! Praise God in Jesus' name!! Soli Deo Gloria! For the love of money is the route to all evil, Money is a defencce. beautifully said !! !Speak the word Blessed! !